But when I suggest visiting the spa at the Old Course Hotel in St Andrews, I get a completely different reaction. Because, while it has a luxurious spa that ticks all the bliss boxes for me, it’s also one of the most famous golf destinations in the world – which gives even its pedicures an automatic male seal of approval. And, of course, it also gives Owen a passport to play golf on a romantic weekend away. No wonder he’s whooping with joy. On arrival, Owen heads off to whack some balls about while I get on with the important business of relaxing in the Kohler Water Spa. Boasting cascade waterfalls, plunge pools, Japanese steam rooms, hydrotherapy jet pools, saunas and steam rooms with light therapies, as well as a brilliant rooftop hot tub, it’s the perfect place to be pampered. And, despite the scented candles and chill-out music, it turns out Owen can’t wait to join me. After walking the hilly Duke’s course, even he admits that the hot bubbling water is what his aching limbs are crying out for. The spa treatments also hit the spot. 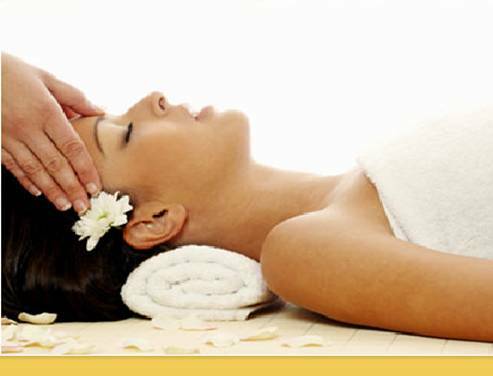 From a long list of water-based therapies and more traditional massages and body treatments, I plump for the thorough and tinglingly-effective Carita Diamond of Beauty Facial. Using a host of lotions containing extracts of gems and plants, it leaves my skin looking firmer and flawless. As well as making the most of the hotel’s well-equipped gym, we hit the beachfront footpath for a Chariots of Five run (as film buffs will know, the famous beach-run title sequence was shot here). A jog heading away from the town of St Andrews and in the direction of the kite-surfers at the far end of West Sands beach takes less than 30 minutes – or longer if you choose a route through calf-aching soft sand. If you plump for the latter, the skyline of St Andrews, complete with its castle, cathedral and Kate-and-Wills-lookalikes, is sure to keep you happily distracted. ‘So how do you feel?’ I ask Owen when it’s time to return home from our two-night break. ‘Pretty amazing, actually,’ he replies. ‘Still like a man – just with silkier skin and less creaky limbs.’ Praise indeed. With a plethora of spas all offering gorgeous-sounding treatments in lovely locations, how do you find the one that’s right for you? 1. Try to book at least ten days in advance; any less and even if you can get a room, you’ll often find most treatment slots are taken. This is because many spas have day guests, too, so don’t wait until you arrive to book your treatments. 2. Be realistic about your budget. Spas can seem expensive – you should expect to pay about £1 per minute for a treatment. You’ll also have to pay more in central London and very exclusive venues, while health clubs are generally cheaper. You may have to pay just to use the facilities at some spas. 3. For inspiration, check out the many spa reviews at zest.co.uk. to search for specific criteria, visit goodspaguide.co.uk, which categorises spas suitable for couples, weight loss, detox, mums-to-be and more. You can even ask them to find you a spa if you’re still struggling.